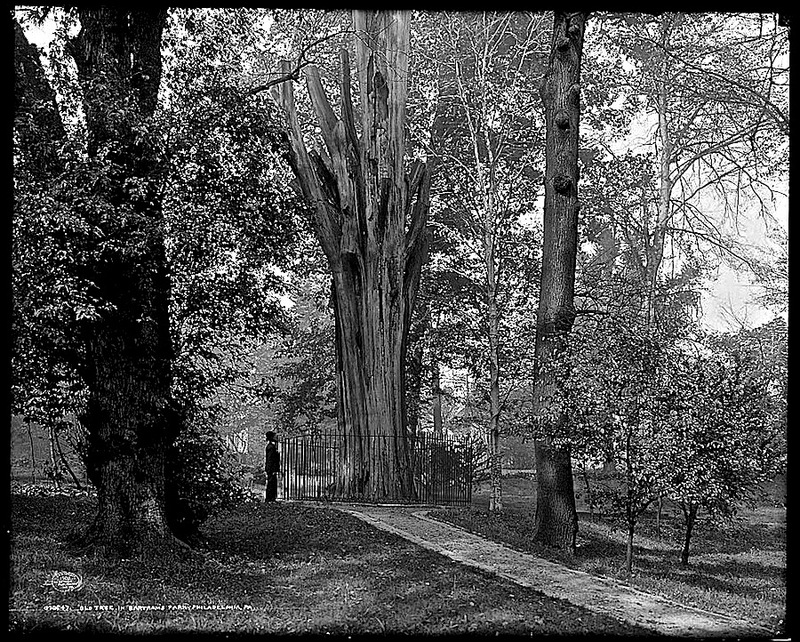 “Old tree in Bartram’s Park [sic], Philadelphia, Pa.,” by Detroit Publishing Co. via Library of Congress Prints and Photographs Division. I can’t find out why this apparently dead tree was fenced off so nicely in Bartram’s Garden in about 1908. Does anyone know? Bartram’s is the oldest surviving botanic garden in North America. It was founded in 1728 and became a city park in 1891. 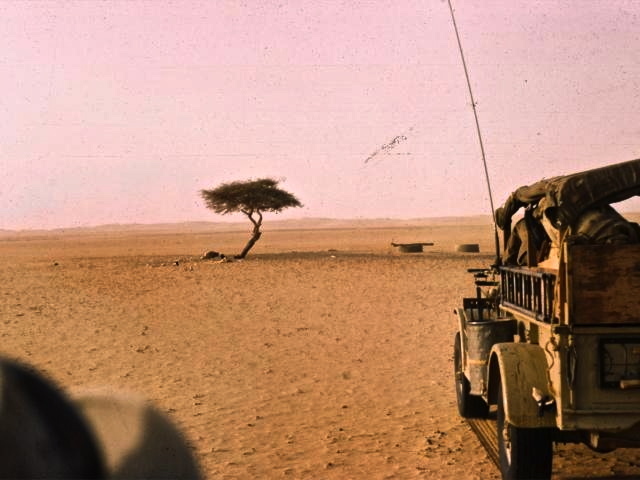 This photo made me think of the Tree of Ténéré, an acacia that was famous for being the only tree for 250 miles on the cavavan routes through the Sahara Desert in northeast Niger. In 1973, a drunk truck driver managed to knock it down. The tree in 1961. Photo by Michel Majeau, via Wikimedia Commons. 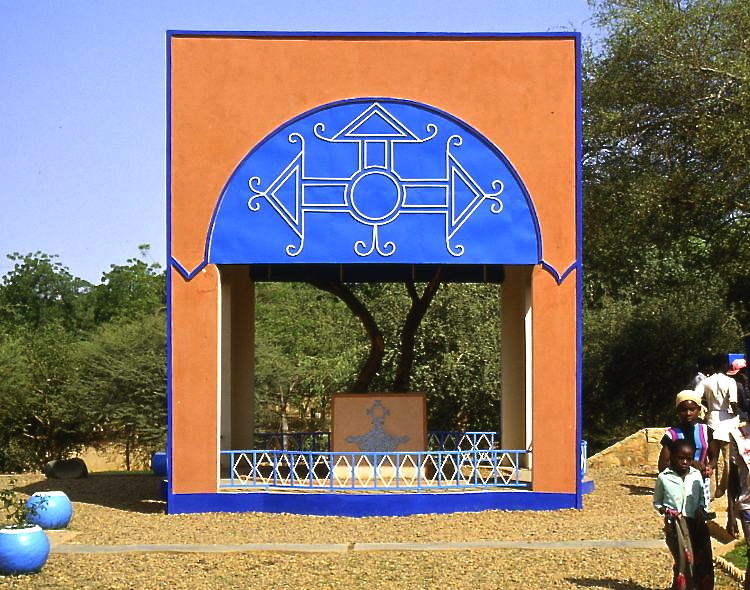 The dead tree was moved to the National Museum of Niger in Niamey later that year — where it was given its own pavilion. I saw it there several years ago. The tree at the museum in 1985. Photo by Holger Reineccius, via Wikimedia Commons. One must see the Tree [of Ténéré] to believe its existence. What is its secret? How can it still be living in spite of the multitudes of camels which trample at its sides. How at each azalai does not a lost camel eat its leaves and thorns? Why don’t the numerous Touareg leading the salt caravans cut its branches to make fires to brew their tea? The only answer is that the tree is taboo and considered as such by the caravaniers. . . . The Acacia has become a living lighthouse; it is the first or the last landmark for the azalai leaving Agadez for Bilma, or returning. I am curious now myself why the tree was fenced. I have a theory, let me know if you find out the reason. I imagine it’s something like a tree that John Bartram planted himself and then George Washington took tea under. I have searched on the internet with various words and phrases for dead tree and Bartram’s Garden with no luck. Some day I will have to visit there and ask them.